I have a bee in my bonnet at the moment and thought a blog might be a more productive use of my time, rather than arguing with strangers on Facebook. The bee, and how it came to buzz, we shall get to in good time. First I wanted to set the scene a little, give you a bit of back-story. I grew up in a town called Bacup on the edge of East Lancashire. Despite finding TV fame in the 1980’s as location for police drama Juliette Bravo, and being home to the world’s shortest street, Bacup, unlike it’s Yorkshire neighbour Hebden Bridge, has failed to attract the tourists.Situated at the end of a valley means it’s often plagued with low cloud and what feels like persistent drizzle. Even in the days when the town had a swimming pool and a leisure centre (both now closed), there didn’t seem to be much on offer in the way of entertainment (beyond hanging around bus stops). The boredom was, and still is, almost palpable. I was always looking for an escape. For as long as I can remember, I wanted out. 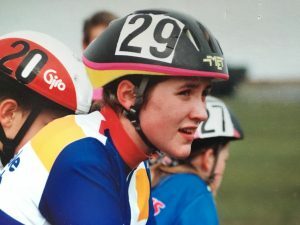 In the early 1990’s, when I was about 14, thanks to somebody stealing my dad’s motorbike, I was introduced to road cycling. Having just given up competitive swimming, I was looking for a new sport. Cycling gave me the escape I was looking for. Sunday rides with the Rossendale Road club provided me with a freedom to explore the bleak but beautiful Lancashire countryside. Conquering the valley sides, and leaving Rossendale behind, it may not have been much beyond the county boundary, but travelling there under my own steam felt like an adventure. The Trough of Bowland, Chipping, Jeffrey Hill, all names that conjure memories of 60 – 70 mile rides through wintry country lanes, taking in a local café for lunch, (and being pre latte and cappuccino, always a pots of tea) hoping for a tail wind on the last hill home. Those days instilled in me a love of riding a bike. I’ve commuted, I’ve raced, I’ve pottered. I’ve since left the road in favour of the trails, but the premise is the same. It taught me an early independence and self-sufficiency (you’re not riding on your own unless you learn to fix a puncture I remember my dad saying). In short, I think being able to ride a bike, whether down a mountain or along a cycle path, is one of the greatest things, in my opinion, life can offer. Unlike most sports, riding a bike can be whatever you want it to be (it doesn’t even need to be a sport). For some it’s transport, others fitness, adrenaline junkies ride for danger, many just simply for fun. You can choose your image with cycling. You can be hip urban cyclist, Lycra clad road rider, pannier-laden tourist, or armour-plated downhiller. From balance bike at 2, to electric bike at 92 I can’t think of an activity that is more inclusive. Cycling has a positive effect on both body and brain (just a couple of references here and here), and in a society struggling with an obesity epidemic, and increasing mental health issues, you would think there is a strong argument for an increased investment in cycling, and I’m not talking about getting the gifted few to the Olympics (see my previous blog here). Back to Bacup, and that bee. In 2008, Lancashire county council began to put in some mountain bike trails at Lee Quarry (having ceased quarrying operations in the 1990’s). With an initial short red loop, the trails grew over the following few years. 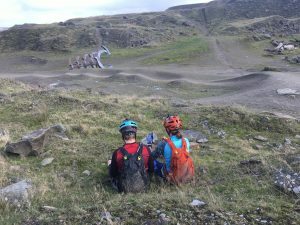 More of a play park than a trails centre, Lee Quarry (and subsequently neighbouring Crag Quarry) gained in notoriety amongst the mountain bike community in the North West as a place worth visiting. I remember heading up there for the first time, and seeing a town I had lived in for almost 20 years, from a completely different perspective. Steep valley sides no longer seemed menacing or oppressive, but full of potential and adventure.Plans were granted for a trail -head, and a new pump track in the park. Things were looking up for Bacup. Then disaster struck. Budget cuts meant that council services responsible for the maintenance of the trails were axed. The future of the quarry was looking as bleak as the surrounding moorland. And herein lies the problem, and the reason for my irritation. Although a stalwart band of volunteers have so far salvaged the quarry from closure, it’s currently hanging on by the skin of its teeth. 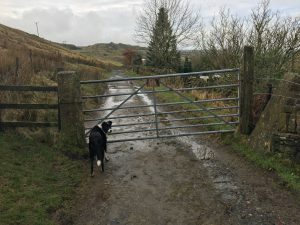 A lack of clear governance has meant the motorbikes are slowly taking over, ripping up the trails, making mountain bikers and walkers nervous. Many people admit they have stopped taking their kids for fear of a serious collision. The pump track in the park was built, and is popular, but I fear this may be all that’s left if something isn’t done. Plans for a trail -head have disappeared, the meal machine has gone, and I worry that Lee Quarry is on the same trajectory as Bacup Baths and the leisure centre. This makes me sad. It also makes me angry. I believe there was/is a chance to develop the quarry in Bacup that could have implications far beyond people riding bikes. I liken it to when wolves were introduced into Yellowstone national park. If you haven’t seen it, check out the story here. We persistently hear about a struggling health service and stretched police resources, teenagers with low self-esteem and little opportunity. This is starkly evident in the North West, fuelled by the loss of local manufacturing and independent shops. Our society is out of balance, and government, it seems, is focused on the effects and fails to fully consider the causes. The Wolves changed the rivers, and I think the quarry has the potential to change a town and a community. Increased visitor numbers demand provision of facilities. Build a trail- head, with a shop and a café and you provide increased employment opportunities in the area. Fund community projects giving local kids the opportunity to move away from hanging around bus stops and not only ride bikes, but teach them how to maintain them. Teach them about the quarry’s history. Give them some pride in themselves and where they live and we might, just might reduce crime rates. Less crime and increased visitors attract new business to the area. And of course, more people riding bikes leads to a happier, healthier population (ok, so not everyone wants to ride a bike at the quarry, but why not extend the cycling infrastructure – isn’t there a disused railway that runs along the valley bottom?). 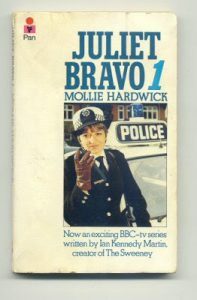 Bacup becomes notorious for so much more than a 1980’s police drama. OK, so I’m getting a bit carried away, dreaming of a cycling utopia. I appreciate it’s not simple or easy, and of course when budgets are tight, we need to consider essential services. But when are we going to stop being reactionary and start being proactive. It’s not simply about throwing money at a problem, but carefully orchestrating change. Obesity? = sugar tax, mental health problems? = increase NHS services, crime rates? = increase policing. These problems go much deeper and require much more creative thought and solutions. It takes years, decades even, for change, but we need to work towards that tipping point. Who’s with me (any lottery winners out there???? ).